"Light rays in the midst of darkness. His radiance brighter than the sun. Who is he who carries such a radiance, greatness upon his shoulders. He conqueres all as he is to head all things visible and invisible. Who is this being in existence and what are the facts about him. Read and acquire knowledge for knowledge leads to the threshold of power thus become powerful. You can't afford to miss this epoch article of the century." Lord and master he is and many have mistaken him for another but sent on earth he was, on a mission karma. His records shrouded in mysteries and hidden from mankind because the powers that control the world's system decided it so, but the age of enlightenment and truth dawns on mankind and the shroud that once was hidden, has the truth decided that his true identity be revealed. This article will shake the world but it's time for the truth as the truth can never be hidden forever. The one the creator sent as the greatest of priories is not called "Jesus Christ" but "Yeshua". The records hidden to vail the truth from mankind "Jesus Christ" never died for humanity Yeshua did. The Father Almighty God named him thus for in his name, the heavenly father's name imbeded and there the power and glory of the Almighty reside. The powers that be decided to put mankind further on the path of enslavement but this time religious enslavement but under the control of the ruler of this world and its system. The truth, these agents of darkness hid for centuries from mankind thus a great dis-service on their part, their aim being to gain social status, but the time for the vail to be uncovered has come upon mankind and all Ernest seekers of the truth must seek it out with the level of importance its deserves hence this piece comes when many are grabling with uncertainties and confusion, now is the time to seek out the one who created you, that is if you truly believe there's a creator. It is therefore important to know the facts about him and his will, unbelieve and sceptism can't stop the truth, as its the only thing in existence that's unchangeable. This attribute thus makes it unique and faithful. 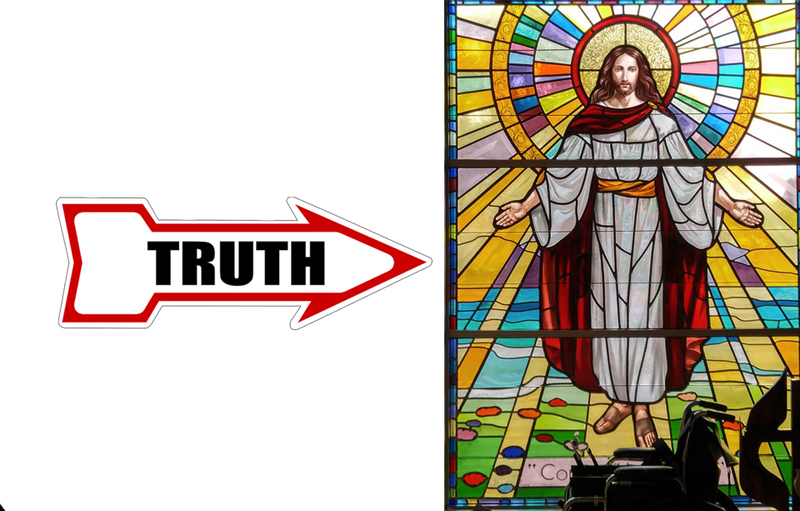 The truth has posed great problems as many are unable to identify it,but whats's the truth and its identity? The facts concerning the truth have in time past being guarded from all humanity for reasons best know to those who control the affairs of man and rulers of the world, but in accordance with the creator's spiritual laws, there's a time appointed by him for the revelation of the truth concerning him and that time has come upon mankind suddenly like a thief in the night. Those who are conscious souls will be granted by his infinite mercies to have this unique knowledge thus become enlightened souls as the journey of life continues. The truth is the creator, some call him Alpha and Omega,every religous system and race have their own representative of who he is but not many have a true knowledge him thus. But not many persons have a true knowledge of who he is,and some persons are of the belief that he is none existent. They in their ignorance want proof as to his existence but they at the same time argue that nothing can emanate from nothing, how can they then explain everything they see for according to them since the truth cant be seen, he does not exist. This shows that they are knowledgeable in physical things but devoid of spiritual knowledge because since they correctly agree that it is impossible for something to come out of nothing, it invariably follows that there must be one who is responsible for bringing all things to existence and mankind today refer to him as God Almighty but is that his name in reality? It is high time to find not for the creator will not have mankind in perpetual ignorance for ever as to his true identity for he has a name hidden from all that he created and since he is all knowing and unchangeable thus he alone stands uncreated. Mysteries untold herein revealed for seekers of the truth to behold. The one whom the christian calls Jesus Christ is a Jew in the land of Israel given the name about 400 years after he supposedly walked by the Greeks added not only this personality to the scriptures but equally many of their traditions and dogmas thus the reason for this in Christianity all in a bid to hide the truth from mankind. Why? In order to keep the masses spiritually enslaved so that they rather keep their thoughts on these; a blind faith with no power to question even the ones not understood is not to be questioned but accepted but this is not the ways of God as he will have us understand all things concerning him and his will and for this reason did he send Yeshua to not only teach but live on earth as ought every true child of his. This falsehood they incorporated that all and sundry still obey the system of the world. It was therefore not Jesus Christ who died, Who then was the actual person who did and why is his identity hidden?